Pavegen is an award winning pavement tile made of recycled car tires. It was invented by british industrial engineer, Laurence Kemball-Cook and converts the kinetic energy of footsteps into electrical power. 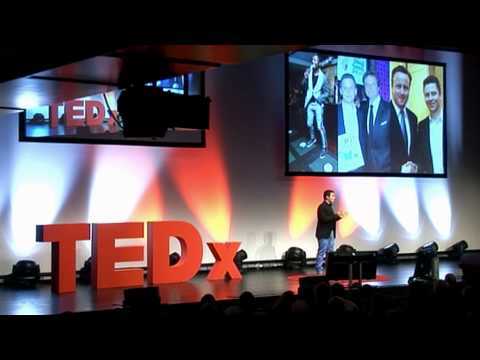 At the TEDx Berlin in October 2012 he talks about his vision of harnessing human kinetic energy to feed the city of the future.